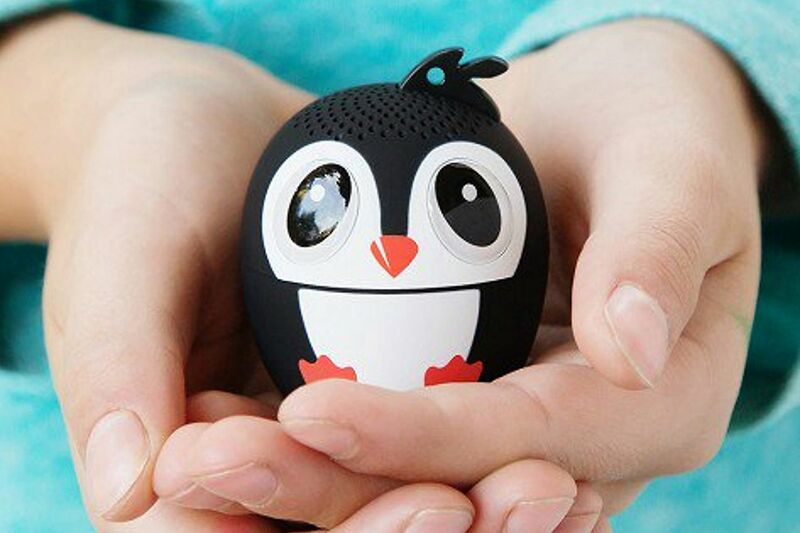 The penguin, goldfish, monkey, panda, and other zoological Bluetooth speakers from My Audio Pet can boom surprisingly big sound for such tiny audio devices (about the size of a golf ball). The colorful creatures have a power button on the bottom that pairs with cellphones and other Bluetooth-enabled devices, and multiple little holes in their heads for belting out whatever is streaming. These little guys have a built-in rechargeable lithium-ion battery that charges via an integrated micro USB port (24-inch USB to micro USB cable included). An LED indicator light and chimes show the animal is up and running — about four continuous hours on a charge — and there’s a built-in microphone for phone calls. The power button can also be used to activate a cellphone camera function for selfies on the go. My Audio Pet Animal-Shaped Wireless Bluetooth Mini Speakers are about $30 at myaudiopet.com.